As a born and bred West Londoner, I have to say I am excited. 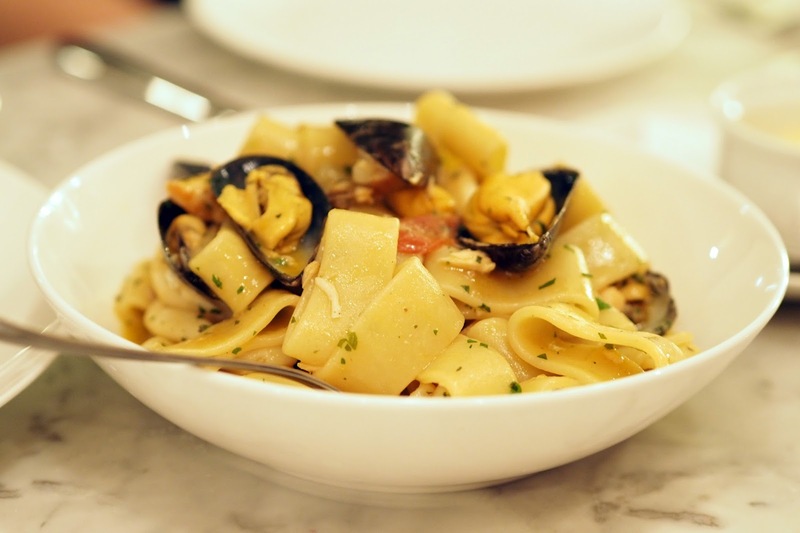 For years, all the best restaurants have been popping up on the other side of town but FINALLY we're getting some some brilliant restaurants of our own – so I no longer have to schlep to East for a feast. 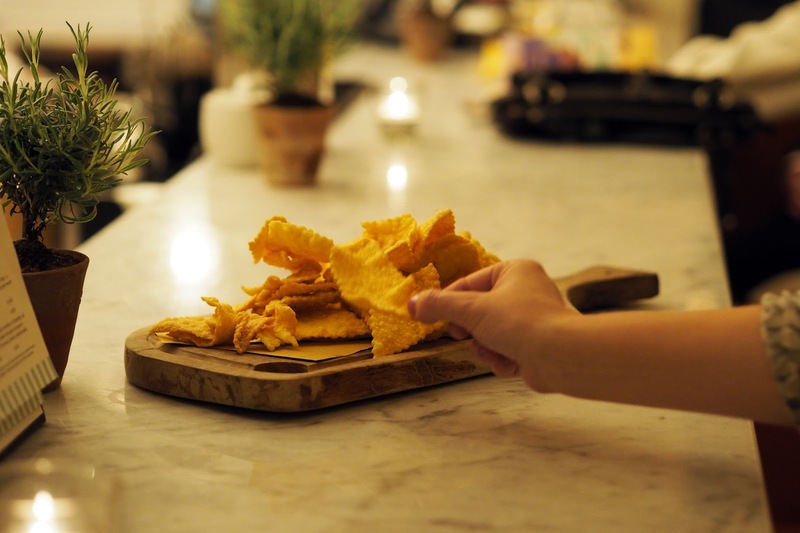 Big names like Polpo, Dirty Bones, The Ivy and Kurobuta have all recently opened their doors in Kensington and Chelsea and now Theo Randall has followed suit, opening Theo’s Simple Italian just a stone’s throw from Earls Court Station. I was invited down to the launch of the restaurant last week for a masterclass session with the chef himself and also to try out the food and drink which would be gracing the trendy restaurants menu. 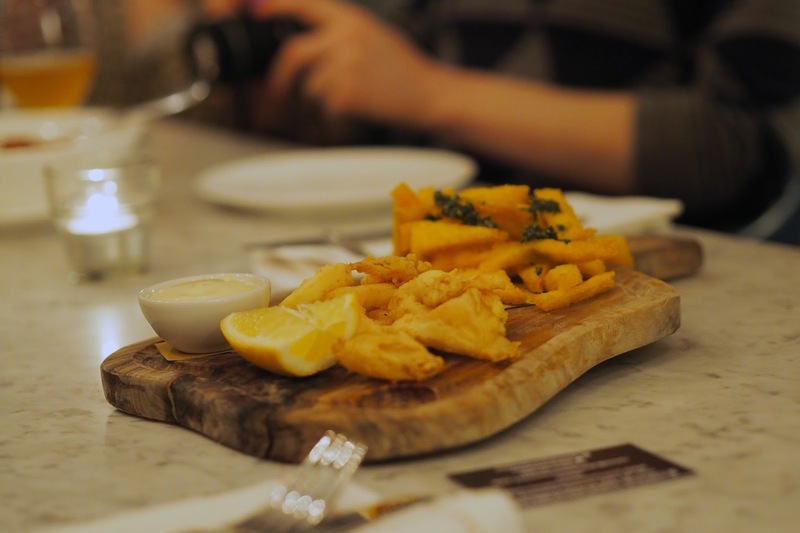 The restaurant itself has a wonderfully cosy feel, it’s light and bright and is sectioned off into small separate areas which creates a lovely sense of intimacy but still keeps that all-important ‘buzzy’ atmosphere. 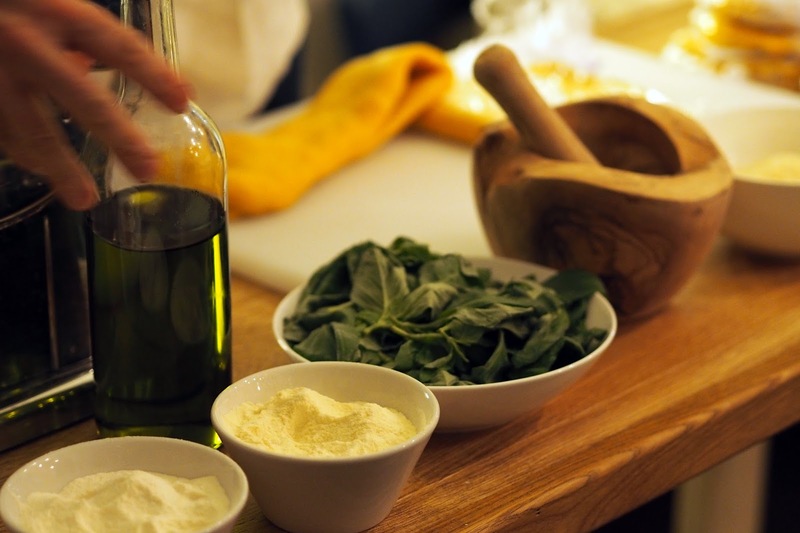 The menu is all about great Italian cooking, using all the best ingredients with a relaxed, informal approach. 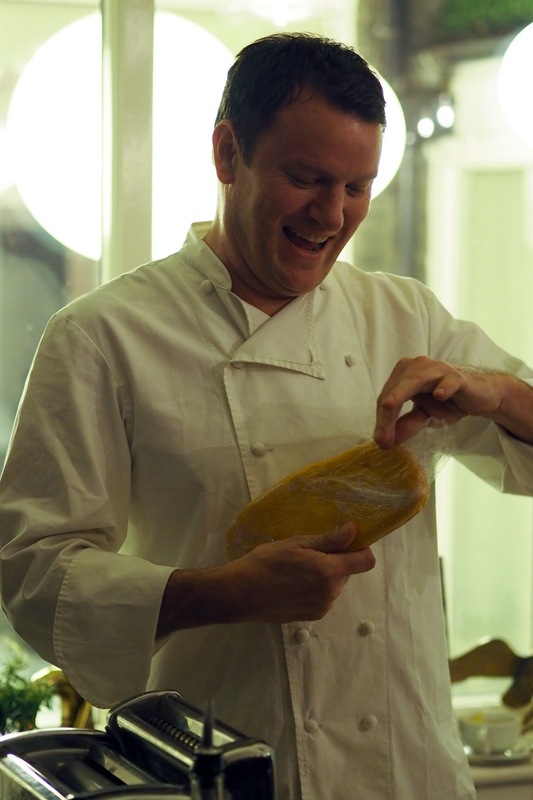 Kicking off the session, Theo walked us through how to make fresh pasta and a delicious pesto from scratch – getting us all involved in pressing out the sheets of pasta and packaging up into a little doggy bag for us to take home. We really couldn't have asked for a better host in Theo. 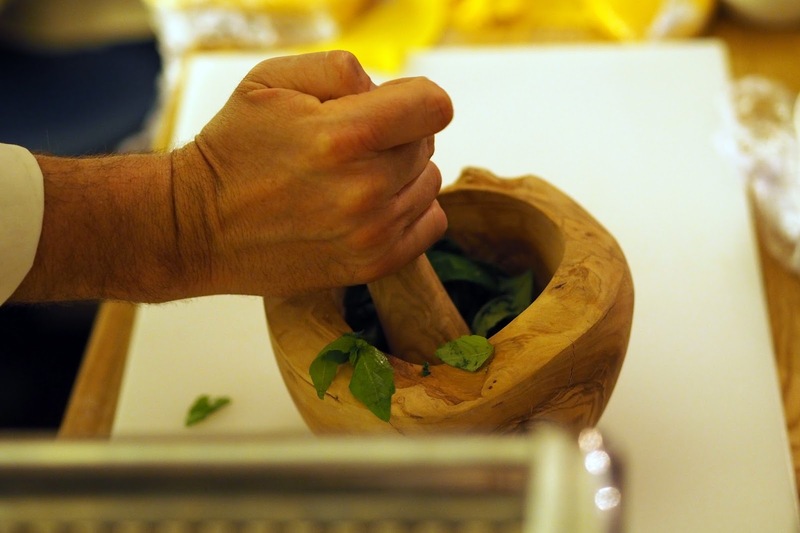 He was so passionate about the food he was preparing and shared lots of anecdotes and tips about the various ingredients he was using – while I doubt I’ll be making fresh pasta at home anytime soon, Theo has certainly given me the confidence to knock together some home-made pesto! After working up a sweat with the pasta machine, we were seated and given a showcase of all the food on the menu. And when I say all, I really do mean ALL the foods. The team were extremely generous and served us up pretty much everything on the menu! 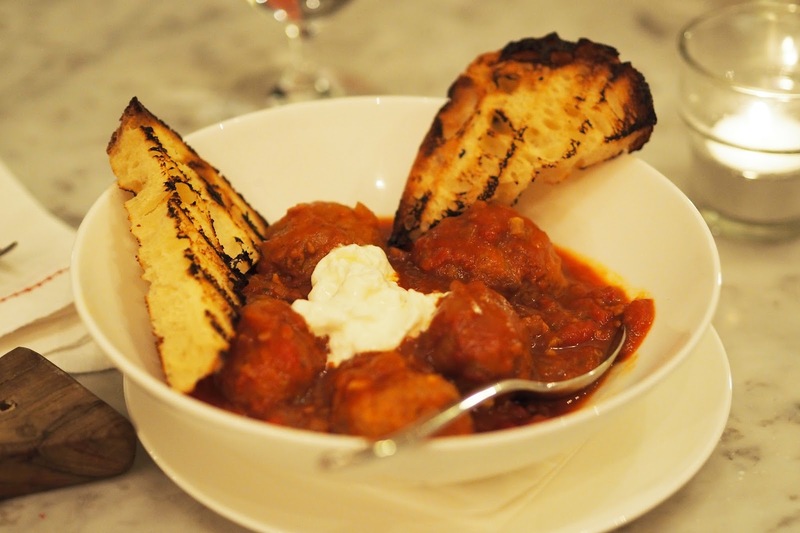 Up first were a trio of ‘primi’ starters, led by my favourite - veal, beef and pork spicy meatballs (£3.50) which were baked in a delicious tomato sauce and finished with creamy burrata. 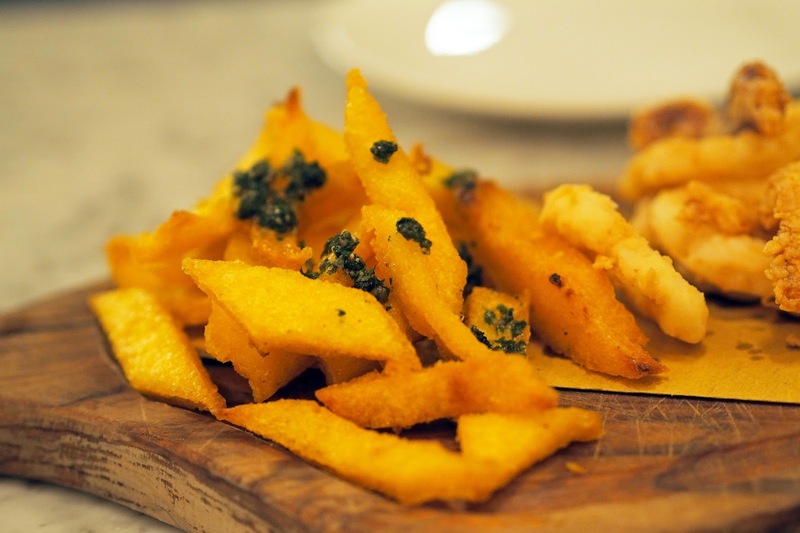 Completing the trio were the deliciously crisp calamari fritti served with a light lemon-ey aioli (£3.50) and polenta chips (£3). 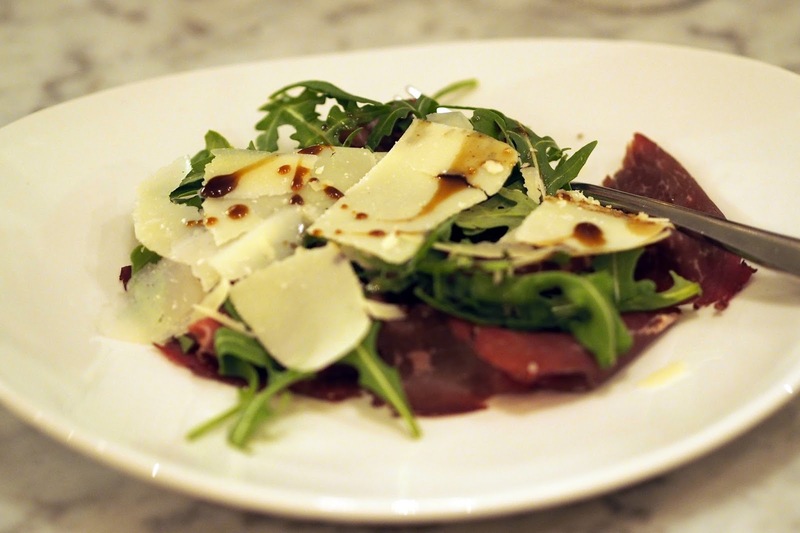 For our second course we were treated to marinated black angus beef carpachio topped with a generous handful of parmesan and a good drizzle of balsamic glaze and rocket (£9.50). 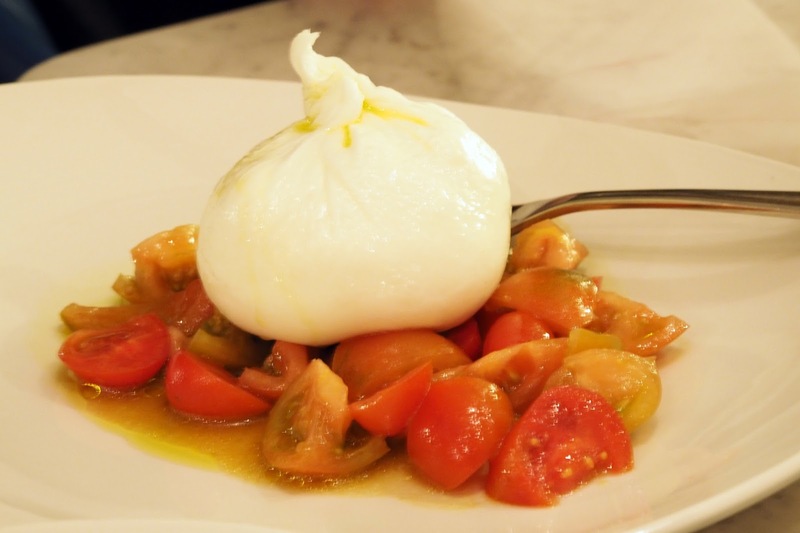 I’ve developed an unhealthy love for Burrata since I watched it being made at Pulia recently (blog post coming soon) so this next dish was always going to be a winner for me. Served with winter tomatoes and a generous splash of olive oil and basil, this creamy ball of burrata cheese (£9) was an absolute dream. 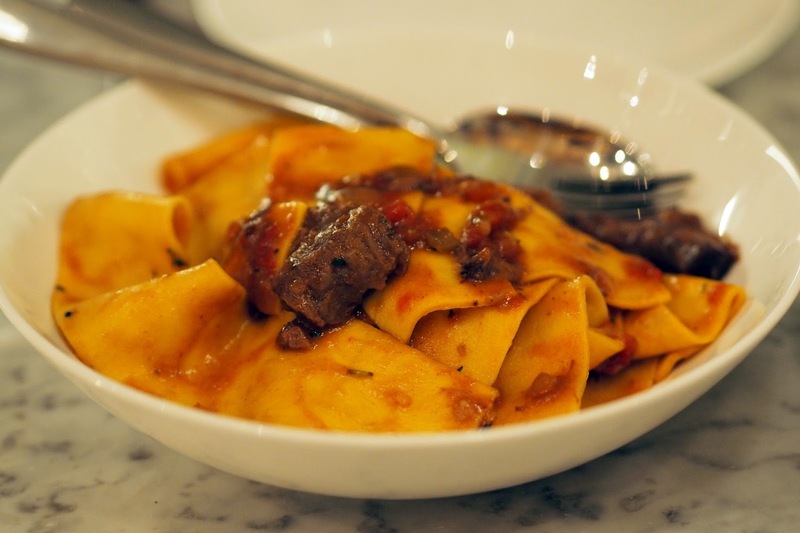 Moving swiftly into the pasta course, we tried a trio of dishes including thick ribbons of pappardelle pasta served with a meaty oxtail ragu (£11) and the table’s favourite calamarata allo Scoglio (£11). A light pasts dish made with generous lumps of fish, mussels, squid and prawns which tasted like the sea! We also sampled the rissoto al Castelrosso cheese (£11) which can assure you was delicious but I didn’t get a chance to take a snap of! By this point I was ready to burst but the food just kept coming. 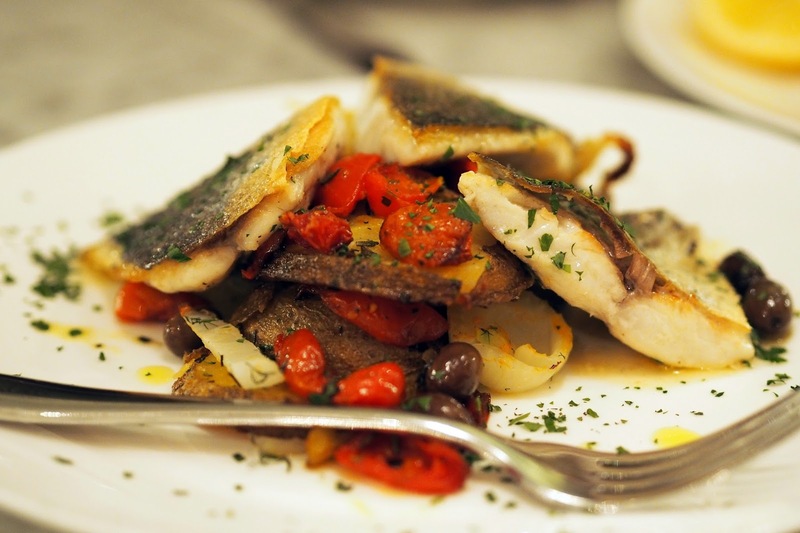 Main courses or ‘Secondi’ as the menu states came in the form of sea bream (£18) served with potatoes, fennel, capers and olives which was beautifully cooked and instantly transported you to some exotic terrace in Italy. 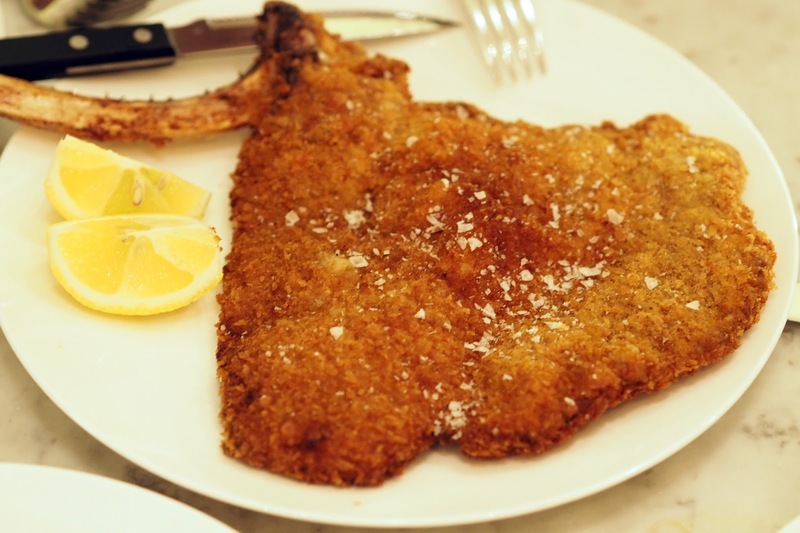 The rose veal milanese was a great option if you’re looking to share. Served on the bone for two people (£38.50) along with potatoes and rocket, it’s a pretty reasonably priced dish for two. Beautifully cooked with a nice crisp coating. 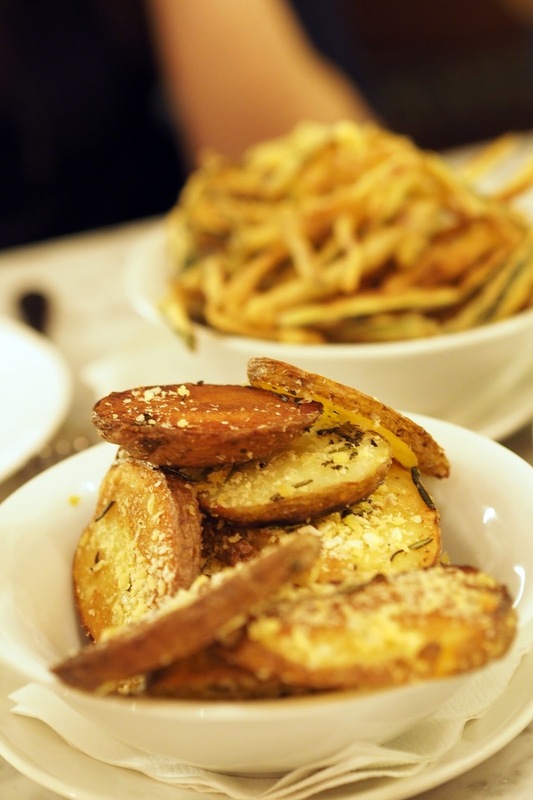 Sides, as if we needed any more food, were the wonderfully named patate salate (£4) – or fried potatoes to you and me and the zucchini fries (£4) which far surpassed the ones I tried at Granger & Co last week. The dessert course was a mixed bag for me. 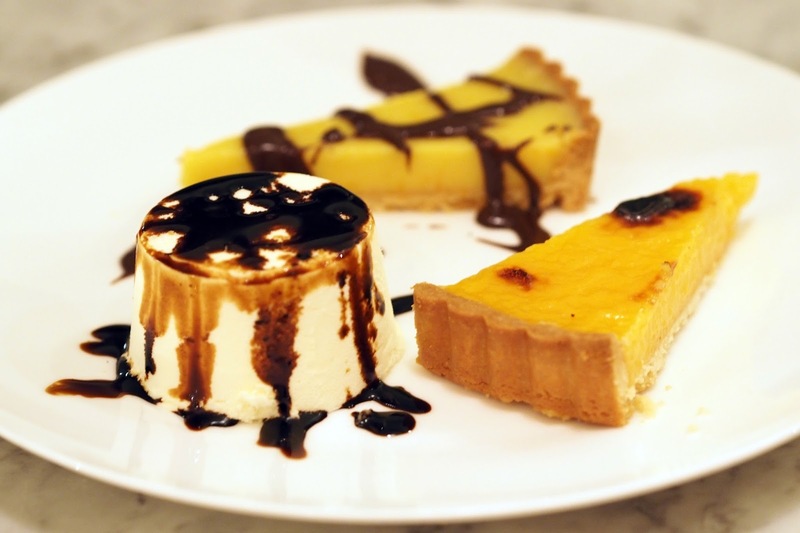 Of the three desserts we tried, Theo’s signature lemon tart was the absolute star. Packed with really bold, sharp citrus flavour which made your tongue tingle – I could have eaten three. The white chocolate and orange tart (£6) was pleasant and the spicy chocolate sauce really helped to take it up a level but the Sambuca semi freddo (£6) sadly really wasn’t for me. Sambuca for me should be confined to nightclubs at 4am and the coffee essence was far too strong for my tastes but others on the table seemed to enjoy it. Overall, a really brilliant night. Theo was a fantastic and engaging host, even emailing me a list of personal recommendation for my trip to Rome next month which certainly went above the call of duty! Big thank you to Theo and the teams at Sauce & the Indigo hotel for putting on a great event. I’ll definitely be popping back in again soon!